Today I’ve got something different. 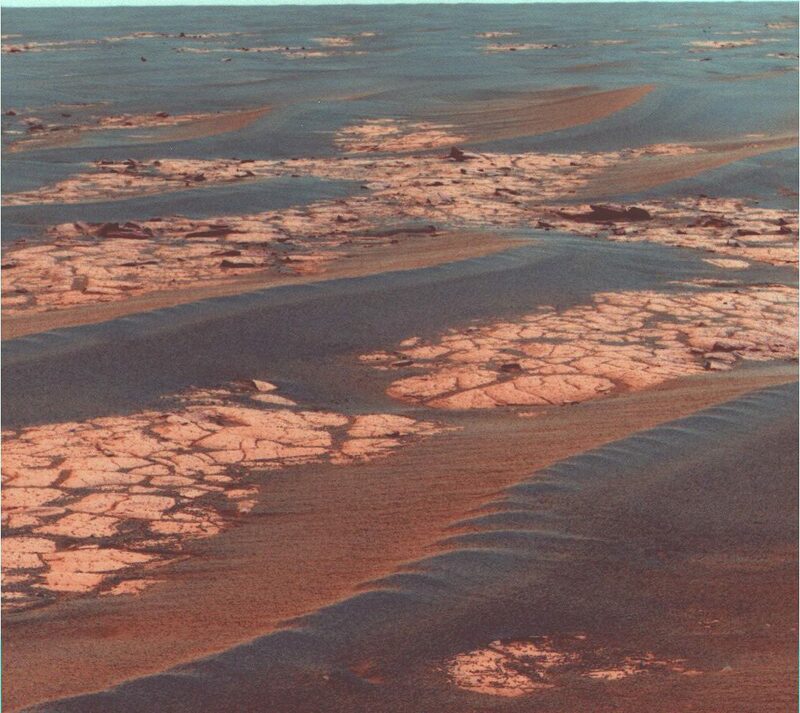 Today NASA announced the discovery of hydrated salts in some dark slope features that form during the spring on Mars. 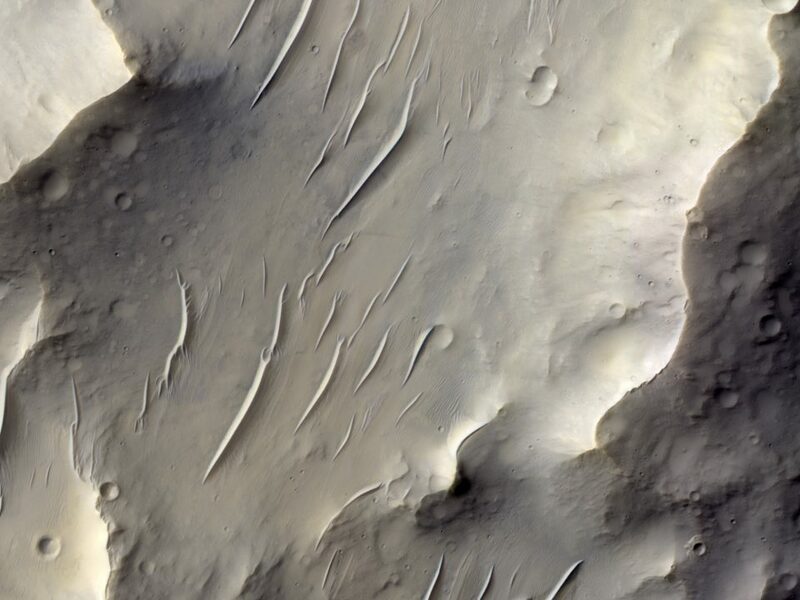 These “recurring slope lineae”, or RSLs, were discovered a few years back, and they form on steep slopes every spring in a few places on Mars. 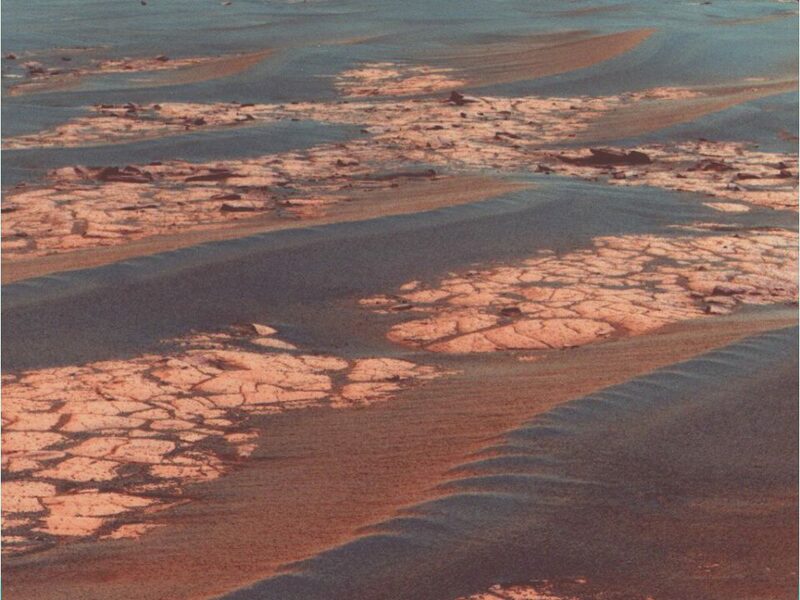 There’s been a big debate over whether these things are formed by flowing water (which would be big news: flowing water on Mars today, right now, where we can witness and study it, not just billions of years ago in the distant past – these RSLs could be an environment where life could exist) or whether they’re just boring dry flows of sand or dust that only turn dark because for some weird reason the bright dust gets kicked off the surface (things like that also happen on Mars in other places). But now they’ve found hydrated salts, which only form in the presence of water. So that means these RSLs are associated with water. They’re not just dry sandy avalanches. So now they’re places we need to pay more attention to, partly because we might find life there (yay!) and also because we need to be careful not to kill it or infect it with our biological cooties (boo!). 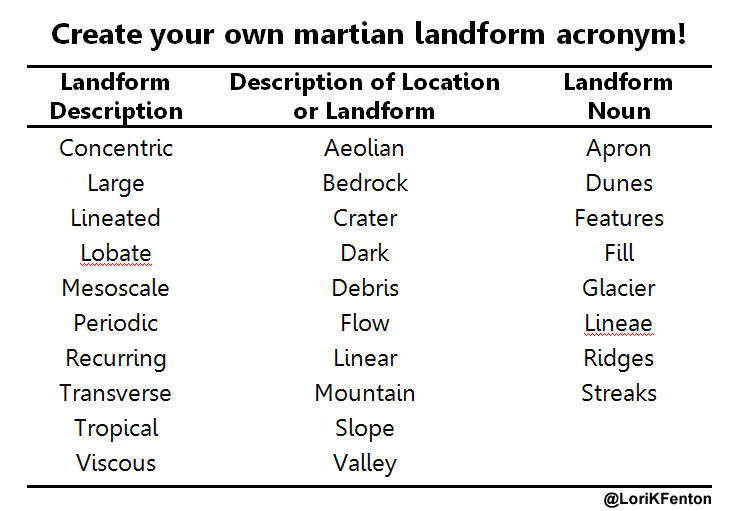 So in honor of this new discovery, I’m giving you a list of some of the words we’ve used to describe landforms on Mars. It’s true, we planetary scientists have a penchant for acronyms and names that don’t roll off the tongue. It may be partly because we lack imagination, but it’s also partly to cover ourselves (CYA, there’s another 3 letter acronym), so that we don’t pick a name that makes us assume something about what process forms that feature. Thus we have the mighty “recurring slope lineae” instead of something more catchy like “springtime slush”, because what if that name stuck and they turned out to be something much less exciting? Then we’d have to call them by the wrong name, and it would be the Pluto demotion fiasco all over again. Nobody wants that. With some luck these RSLs will be renamed something more catchy. Most likely the IAU (another acronym!) will give them names relating to water features on Earth, like naming them after famous springs or fountains or something. That won’t happen for years to come. In the meantime, you can make your very own 3 letter acronym from the list above and play at martian geology. Have fun! I only realized today that you were among the very first authors to publish on the recurring slope lineae that are such hot news today. Mentioned you in my blog. 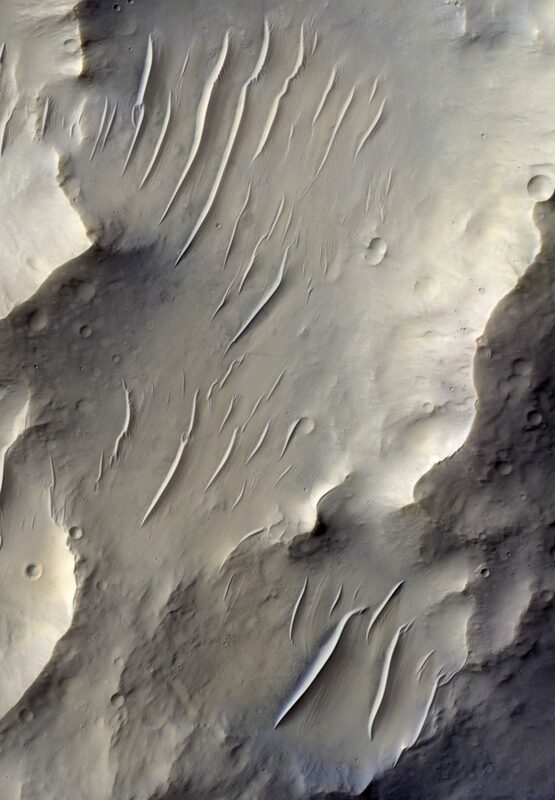 Ah – those are dark slope streaks. They’re not the same as RSL. RSL are smaller, and appear in high thermal inertia areas. 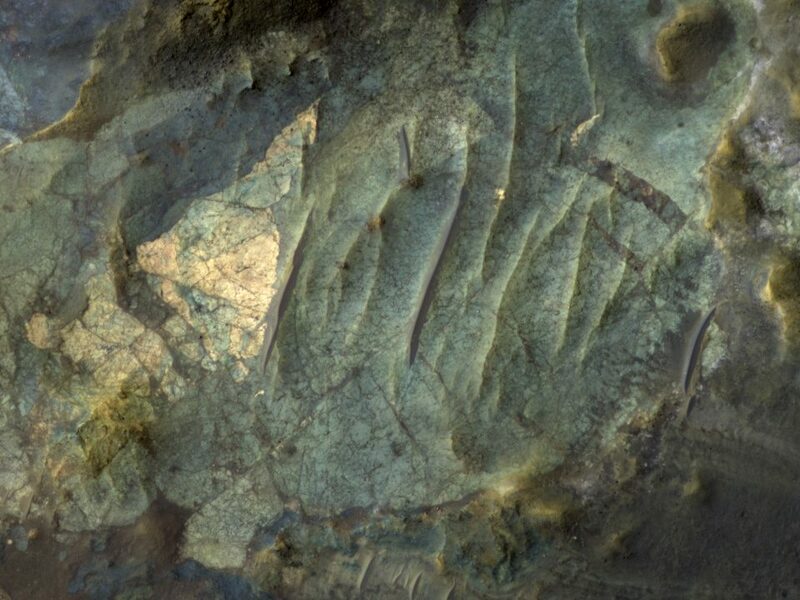 They weren’t discovered until they were seen in HiRISE images in 2011 (http://adsabs.harvard.edu/abs/2011Sci…333..740M). 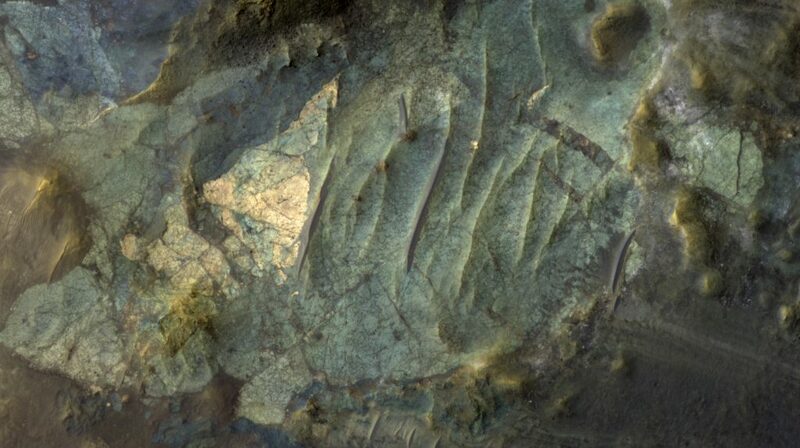 What I studied are slope streaks, which form only in bright, low thermal inertia terrain. They’re likely dust avalanches that might be triggered by the wind or sublimation of ice in the spring, but there’s no good evidence they’re wet. They were first studied in Viking images by Ferguson and Lucchitta in 1984 (http://adsabs.harvard.edu/abs/1984pggp.rept..188F), and I think they were actually first mentioned in a 1982 paper. All I did was have a closer look at them with the (then new) MOC images. This guy Bara couldn’t have seen RSLs 15 years ago – we didn’t have the image resolution, let alone the seasonal coverage, to see them. In addition, we didn’t have high resolution spectra to identify the presence of minerals formed by water until just now. That data simply didn’t exist. I assure you, if it had existed, somebody would have published on it – we’re all hungry for publications and funding. Is it possible to come up with an acronym which doesn’t actually make sense? I can just imagine some screenwriter for the next Bad Disaster Flick, seeing such a grid and throwing words together like an insane monkey. The acronyms always make sense. If it’s geology then it’s some very dry prosaic description that avoids saying more about the feature than we think we know (scientists so hate to be proven wrong). Extra points if you can come up with some half-remembered term that could be confused for Latin. If it’s the name of a spacecraft or instrument, then it’s more important that the name be catchy (which is why there are cameras on New Horizons named LORRI and RALPH). When in doubt, poll your geek friends for opinions. We will always have them. We miss you too! We both have new family members that have never met. No fair.